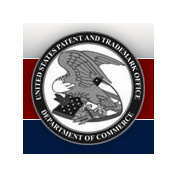 The ‘Patent Trial and Appeal Board’ (‘PTAB’) has 174 administrative judges, who hear appeals of actions by the USPTO, such as denials of patent applications. In the past, the USPTO has been accused of packing the PTAB panels with handpicked judges to reach a desired result in a particular case. Panels of the PTAB also hear challenges to patents by third parties, such as infringers. The PTAB has become the primary venue for deciding the validity of issued U.S. patents rather than the U.S. District Courts. One of the reasons that infringers favor the PTAB is the high rate of success that infringers have enjoyed before the PTAB. One of the reasons for that success is that the PTAB has applied standards different from that of the U.S. District Courts and unfavorable to the patent owner. The USPTO, under Director Ianacu, has issued new ‘standard operating procedures’ (‘SOP’) for the PTAB to address the Board-packing issue. The SOP formalize how the PTAB assigns administrative judges. The PTAB will no longer be able to handpick judges to guarantee a result in a particular case. The USPTO has also promulgated rules that specify that the PTAB panels will use the same standards as the U.S. District Courts in interpreting patent claim terms in third party challenges to patents and will consider prior interpretations of the same claim terms by Federal judges. These are important, common-sense steps in the right direction. The USPTO is in the process of developing more rule changes. Hopefully, those changes will help to level the playing field between infringers and patent owners.